What Kind Of Massage Is The Best For Sore Muscles? You are here: Home / Massage / What Kind Of Massage Is The Best For Sore Muscles? Reliable research reports state that it is entirely natural and ordinary for one to feel sore after an intense workout. If you lift more than you are used to, add more reps to your workout, or try something for the first time, something unusual, you will feel soreness in your muscles. Muscle soreness is considered a good thing as it is directly related to the formation of new muscles. Well, massage does an exceptional task of reducing inflammation; in addition to that, it also plays an instrumental role in stimulating cell repair, allowing muscle cells to recover from injury. In the simplest of terms, massage helps muscles adapt to increased exercise. Vigorous exercise routines cause tiny tears in muscle fibers, which leads to inflammation. Inflammation occurs when the body works on repairing the injured cells. Massage helps reduce the production of compounds known as cytokines, which is mainly responsible for inflammation. Additionally, according to reliable sources, massage also helps stimulate mitochondria, an organism that converts glucose into the energy essential for cell function and repair. In a nutshell, massage helps suppress the pathways in inflammation and increases mitochondrial biogenesis, which allows the muscle to adapt to the demands of increased exercise. When you are sore, you shouldn´t consume an aspirin. Instead, you should opt for a session of massage therapy after a workout. When you pop anti-inflammatory drugs, it may show immediate results, but it can also potentially retard healing. If you consume anti-inflammatory drugs and suppress inflammation on a regular basis, there may be a maladaptive response in the long run. Hence, it is always better to opt for massage over anti-inflammation drugs. After all, massage cannot only suppress inflammation; it can help enhance and expedite cell recovery as well. Of course, you may argue that it is financially not viable for you to hire the services of a professional masseur on a regular basis. After, all purchasing an aspirin is cheaper than getting a massage from an expert. But, you should be well aware that it is possible for you to teach yourself some helpful massage techniques. If you have family members, you can learn to massage each other. Doing so will be a lot more cost effective. Many professional athletes swear by the benefits and advantages of massage. They firmly believe that massage eases inflammation, improves blood flow, and reduces muscle tightness. There are several different types of massage that can help with different kinds of pain. We will be discussing some of these types in the forthcoming paragraphs. Swedish massage is one of the most common massages in the world. This massage focuses on deep and complete relaxation; however, it can also be expertly used to release cramped muscles. There are numerous different ways through which Swedish massage can be worked on your body. 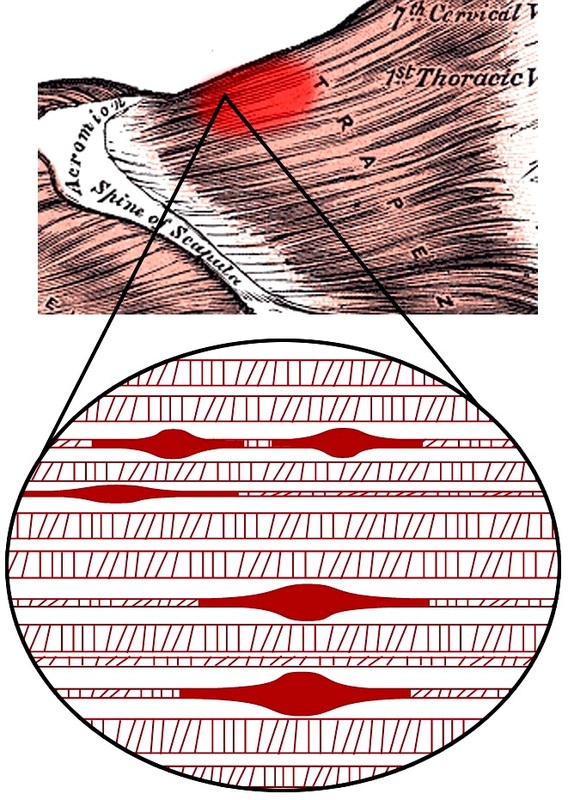 The Effleurage technique usually involves long sweeping strokes from the top of a muscle to the bottom. The Petrissage massage involves rolling and kneading the muscles where the pressure varies according to the sensitivity of the client. The Swedish massage that involves light and rhythmic tapping or drumming is called Tapotement. The friction method involves the application of deep pressure to a particular muscle to encourage it to release. The Swedish massage is best for stress relief, relaxation, and releasing tense or cramped muscles. The deep tissue massage, just like its name suggests, involves the application of deep pressure onto specific trouble points. The massage therapist attempts to reach as far down through the muscle as possible to help release scar tissue and aid in relaxing tightly knotted muscles. While undergoing the deep tissue massage treatment, you shouldn´t be afraid to speak up and state when the pain is unbearable to you. If you get a painful treatment, it could be counter-productive. You shouldn´t ask for this massage treatment if you are expecting relaxation during a therapy session. You can even purchase deep tissue handheld massager. This type of treatment is excellent for those who suffer from chronic pain because of the build-up of scar tissue. It is also useful to those who suffer from pain in the neck, shoulders, and back. A trigger point massage is a type of massage that mainly targets myofascial trigger points (points in the muscles where knots are or may be formed) to bring relief from pain in some regions of the body. In some cases, the trigger point massage can also include the application of injections. This type of massage doesn´t work the whole body or the entire length of a muscle. Basically, in this type of massage, deep pressure is applied to the trigger point. After that, the pressure is released. The application and release of pressure are done continuously until the trigger point releases. The main aim of the myofascial release massage is to relieve pain by working the fascia, the connective tissues that form the framework of the nerves, muscles, and blood vessels. Fascia is a thin layer of connective tissue that covers all of the muscles in the body. Therefore, this type of massage focuses on a broad expanse of muscle all over the body. During a session of myofascial release, the professional masseuse pulls and releases those fascial tissues by gently rolling the skin on the legs, back, and other parts of the body. This massage, in most cases, doesn't rely on the use of massage tools, oils, or lotions. The Myofascial Release massage is particularly beneficial for those who suffer from fibromyalgia. The myofascial release is also recommended to those who need treatment for chronic fatigue syndrome.